Christopher Columbus landed in Puerto Rico in 1493, one year after he arrived in the Americas. He named it San Juan Bautista after John the Baptist. The food of Puerto Rico is spicy and is a mixture of Spanish, American, British, and African influences. Although Puerto Rico is a territory of the United States, it competes individually in the Olympics and has won nine medals total. Six medals were won in boxing, one in athletics, one in tennis, and one in wrestling. Little Nancy raised her hand when Teacher asked whether anyone in the first-grade class had a prayer request. “Please pray for my dog,” the girl said. “We can include your dog in our prayer today,” said Teacher. Teacher also prayed for the dog at the end of school when Nancy and the other children were ready to go home. The next morning, Nancy raised her hand again. “Please pray for my dog,” she said. The next morning, she said the same thing. Every morning for two weeks, Nancy asked Teacher to pray for her dog. Finally, Teacher couldn’t be quiet any longer. She was so curious to find out what was happening with the dog. “Why I am praying so much for your dog?” Teacher asked. “My dog died,” Nancy said, sadly. “Why are we praying for a dead dog?” she asked. “I’m so sad,” Nancy said. Teacher didn’t want Nancy to be sad, but she didn’t think that praying for a dead dog was the answer. She suggested that Nancy change her prayer a little bit. Teacher wasn’t upset that Nancy wanted to pray for her dead dog. In fact, she was very happy because she saw that Nancy believes in the power of prayer. Teacher has taught math and reading to first graders for many years, but she only recently started to teach the children to pray. She has turned her first-grade classroom into a special praying classroom after hearing a special sermon on Sabbath. The preacher read Colossians 1:25, which says, “I became a minister according to the stewardship from God which was given to me for you” (NKJV). The preacher said this verse means that every teacher should be a minister. This did not mean that Teacher should quit her job and begin to preach in church every Sabbath. It means that she should be a minister in her classroom every day! Teacher had never thought about being a minister in a classroom. She had always thought that she was just an ordinary teacher. How could she be a minister? Teacher prayed to God for help. Then she told the first graders and their parents that her classroom was no longer an ordinary classroom. Instead of praying only at the beginning of school, she would now pray at the end, too. She made the special piece of paper for prayers and put it on the chalkboard. The children and the parents liked the new praying classroom. Some parents immediately began to text their prayer requests to Teacher by cellphone. Soon the parents asked Teacher if she could meet and pray with them, too. The parents of three families are now preparing for baptism. Teacher said prayer is an important part of first grade, and they will pray for anything—even a dead dog. “I want the children not only to receive a diploma from school but also a crown from Jesus,” she said. 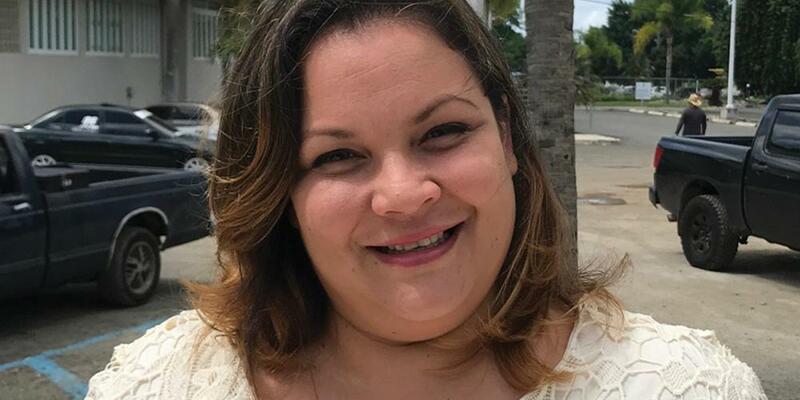 Teacher’s full name is Maria de la Paz Rodriguez, and many of the children in her classroom are not from Adventist homes. Let’s pray for Teacher, her students, and the Adventist Church’s work of telling others in Puerto Rico that Jesus is coming soon. Thank you for giving to the mission offering so more people can hear the good news.